I grew up in rural Michigan, where I would spend hours playing outside. I would climb trees, explore deep in the woods and collect frogs and fireflies during the summer. I loved learning about nature and simply being in nature. I also developed a sense of wanderlust from an early age, later nurtured by my experiences as a young camper and visits to the beautiful national parks across the United States and in Canada. My interest in nature and biology continued to bloom. That is, until a high school science teacher advised me to switch my focus for my college major. I took the comment to heart and picked a university in a place as different from a bitter Michigan winter as I could find and majored in a subject at the opposite end of the spectrum from science. That’s how I found myself in Miami, attending the University of Miami and studying international finance and marketing. Four years later, with marketing degree in hand, I was ready to go off and save the world. While my high school teacher may have dashed my dreams of becoming a scientist, I still wanted to travel and embarked on a mission with the Peace Corps in the Ukraine. Here, I was paired with a group of volunteers who reignited my passion for science and the desire to pursue it. So, with my curiosity peaked, I once again packed my bags and set off for Pietermaritzburg, South Africa to attend the University of KwaZulu-Natal. I fell in love with the region and ended up staying for 10 years. It was life-changing. I earned my master’s degree in science, met my future husband and was introduced to the philosophy of ubuntu, which would forever change my outlook on life and redirect my career path. The literal translation of ubuntu is humanity, but is most often said to mean, “I am because we are.” Ubuntu refers to how others conduct themselves for the betterment of the whole, for the greater good of the community rather than the individual. People that live by ubuntu show respect for each other, share concern for others and understand that we are all connected by our actions and reactions to others. Ubuntu is a concept not always easily implemented, but one that is tremendously beneficial working in the nonprofit world. As a fundraising professional working for Zoo Miami Foundation, I see people following the concept of ubuntu every day, they just give it a different name here. Philanthropy and giving of yourself and your resources is the exact spirit of ubuntu. In fundraising, we talk about giving of your time, using your talents and offering your treasure to make an impact on individuals, the community or a cause. Our donors live the essence of ubuntu daily. Their passion and commitment to the Miami community, the Zoo and conservation drives them to donate, serve on a board or volunteer. I was looking to level-up my expertise in fundraising and saw an opportunity to apply for a Miami Leaders grant through The Miami Foundation. I was fortunate to receive grant dollars to attend The Fundraising School at Indiana University’s Lilly School of Philanthropy and complete Principle’s and Techniques of Fundraising. The course was a week-long intensive experience taught by leading professionals in the fundraising industry and academics. Our group of participants was quite diverse: we were professional fundraisers, executive directors and board members from nonprofits across the globe of all types and sizes. We had representatives ranging from the international Red Cross to universities and grassroots conservation efforts. Individually we were all different, but we had a common goal: to learn how to continue the impactful work we do and strive to accomplish our mission by becoming better at fundraising and understanding philanthropy. It was during this course that I heard the single most transformative message about fundraising and philanthropy I’ve learned: “Don’t be ashamed or afraid to ask someone to give because by asking them, you are providing them with the greatest opportunity to experience joy through giving.” This is the core of ubuntu – it’s in giving of yourself that you find joy while also benefiting the greater good of the whole. 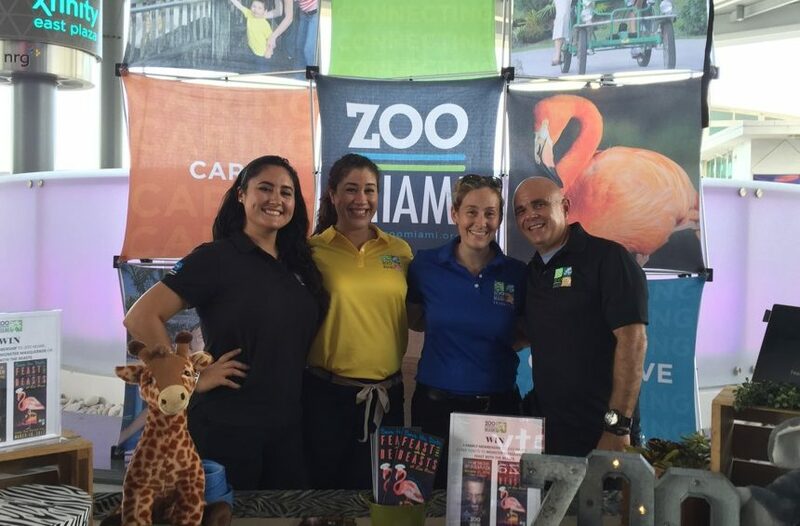 In my role as director of development for major gifts at the Zoo Miami Foundation, my mission has been to engage others in the community. Every time I take someone on a tour through the zoo, I share my passion for the outdoors, for the animals, for saving the last bit of wildlife and wild places. I show them that zoos are places where memories are made, smiles are shared and families come together. In turn, they’re inspired to give back. And in doing so, they re-inspire me. Looking back, perhaps I shouldn’t have listened to my high school teacher, but I can also appreciate that the experience was the catalyst for getting me to where I am now. I just took the scenic route to get here. The Miami Foundation gave me a chance and encouraged me to learn in order to continue to give back, and now I can pay that forward. Sara Greene is director of development for major gifts at Zoo Miami Foundation and a Miami Leaders alum. Sara Greene, thanks a lot for the post.Really thank you! Much obliged.